We consider nurturing and development of new work one of our core activities. Our new play development program will continue to strive for the achievement of entertaining and challenging new productions that expand the body of work for young audiences in North America. Our work in the arts is through not only providing theatrically compelling work, but through our advocacy of how it can be created. In our community and beyond we work to provide family programming that inspires life-long lovers of the theatre. We are interested in how young people engage with theatre, and how it transfers into their everyday lives. As we look to our 50th year, we wish to cultivate passion for the arts in our community and, most importantly, in the schools where our audiences first grow. Carousel Players is an award-winning professional theatre company for young audiences. We are committed to the development of new work and the production of theatre that entertains and challenges our audiences. We present inspiring and creative plays for children in theatres, schools and other performance venues. We ensure that our performances, summer theatre school, and outreach programs can be accessed by all children and families regardless of their socio-economic background. In order to support meaningful dialogue around our productions, we provide study guides to all educational professionals to help them connect classroom material to each production. Our actors also facilitate a short question and answer period after each show. We believe live theatre develops artistic awareness, learning skills and a sense of well-being in children. Throughout our 40+ year history, over 2.8 million students, teachers and families have seen our productions. 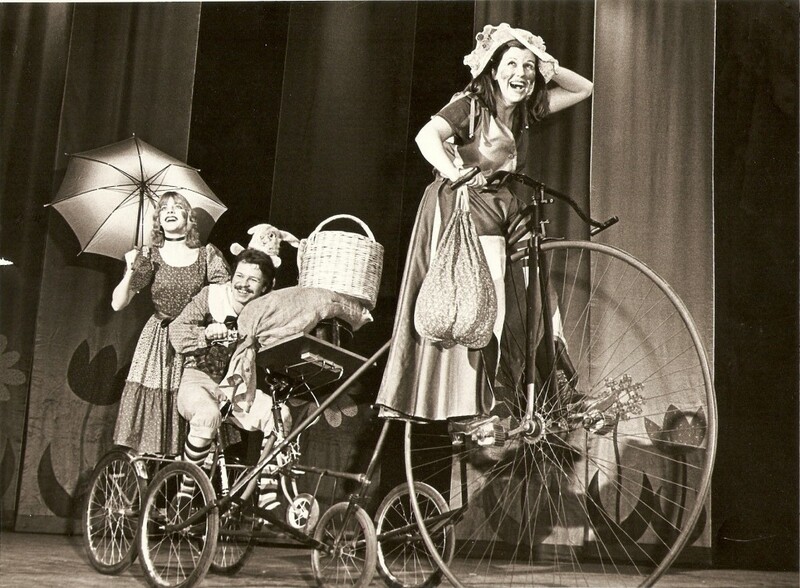 Carousel Players is a non-profit charitable organization founded in 1972 by Desmond Davis, a professor of Drama at Brock University in St. Catharines. Des and his wife Faye came to Canada from Australia and created a theatre to serve youth in Niagara. The name for the company is inspired by one of Canada’s oldest carousels in nearby Port Dalhousie, where you can still enjoy a ride for just a nickel. Throughout our 40+ year history, over 2.8 million students, teachers and families have seen our productions. We regularly perform in schools across Ontario, and tour to theatres in London, Toronto, Orangeville, Port Hope, and Midland. We have also toured nationally to theatres and festivals in Ottawa, Montreal, Winnipeg, Calgary and Vancouver. Our award-winning plays have toured as far away as England and Japan. Artistic leaders of the company are Duncan McGregor (1980-1990), Pierre Tetrault (1990-1998), Kim Selody (1998-2006), Pablo Felices–Luna (2007–2014), Jessica Carmichael (2015-2017), and Monica Dufault (2018 – present). Carousel Players office resides at Silver Spire Church in downtown St. Catharines. Carousel also offers Summer Theatre School for children in July-August at The Robby, behind Folk Arts, in St. Catharines. Previously, Carousel Players operated out of the historic Courthouse on King Street. Carousel Players would like to acknowledge the Neutral, Seneca, Haudenosaunee, and all other custodians who cared for this land, elders past and present, and extend that respect to Indigenous people present here today and into the future. Our plays have been nominated for 14 Dora Awards in the Theatre for Young Audiences (TYA) category. We received Dora Awards for Dinosaurs & All the Rubbish in 1993 and Patty’s Cake in 2003. Carousel Players received the 2003 Canada Council for the Arts for Theatre for Young Audiences Prize for Patty’s Cake, the Great Grants Award from Ontario Trillium Foundation in 2005, the Lieutenant Governor’s Award For the Arts in 1997, the Innovation in the Arts Award from the City of St. Catharines in 2009 for our Niagara Artists in the Classroom program and the inaugural Arts in Education Award from the City of St. Catharines.